Lower precious metals prices on Wall Street aren’t necessarily bringing lower prices on Main Street. The retail market for gold and silver coins, bars, and rounds has been swamped with high demand since mid June. Both the U.S. Mint and the Royal Canadian Mint continue to run into serious issues keeping up with retail silver coin demand. After selling out in early August, the U.S. Mint resumed deliveries of Silver American Eagles, but it has since been rationing them out. And this week brings word of new silver supply-chain problems. Mint officials let it be known they are cutting further back on Silver Eagle shipments, reducing them as much as 20% below already insufficient levels. Dealers already had some catching up to do, and similar news from the Royal Canadian Mint (RCM) late last week won’t help either. RCM officials announced significant “problems” with sourcing silver blanks for production of the Silver Maple Leaf. At least one major wholesaler stopped accepting new orders for the popular coin all together. 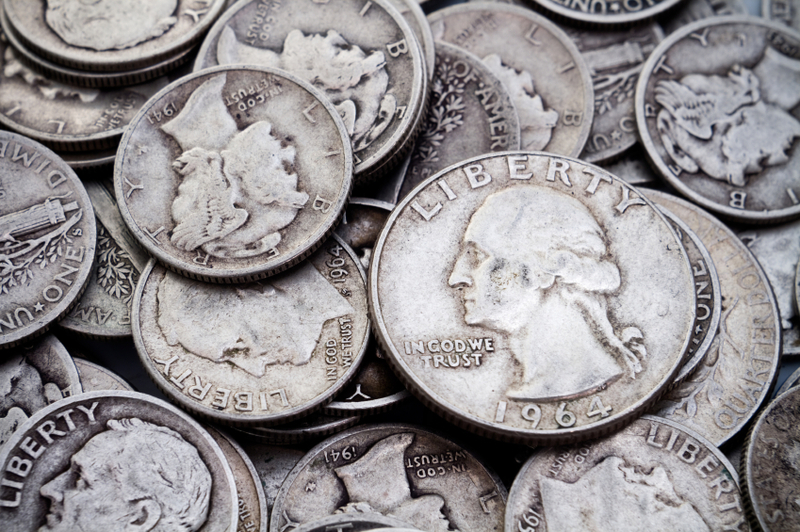 The one-two punch of U.S. Mint and RCM rationing and production breakdowns promises to keep buy premiums elevated and cause shipping delays on most government-minted silver coins for the foreseeable future. Seizing the opportunity to buy silver on the cheap when spot prices fell below $15 per ounce has proven harder than many expected. Reputable dealers like Money Metals Exchange will only accept orders for precious metals that it already owns and for products it knows it can fulfill. Responsible dealers make commitments to customers up front about when a customer should receive delivery, and then meet (or exceed) those commitments. And, as frustrating as it might be to do so, prudent dealers will stop selling items that cannot be reliably sourced. Unfortunately, some dealers operate differently – taking all the orders they can regardless and hoping and praying they can follow through as promised. That’s risky for both the dealer and the customer. If your dealer is consistently missing commitments on delivery, or quoting delays significantly longer than other dealers, you should be wondering if the company truly is “selling silver they don’t have.” Shipment in one to two weeks after payment clearing is reasonable given current bottleneck conditions. Anything approaching a multi-month delay at this point should be viewed as unacceptable. One misconception is that higher premiums go straight into the dealers’ pockets. In reality, the wholesale premiums and fabrication costs associated with securing inventory are also rising. In recent weeks, for example, Money Metals Exchange has actively encouraged customers to buy silver rounds, where premiums rose only modestly, and silver bars, where premiums increased only a few cents. Previous articleWhat will Tomorrow’s Alibaba Results Tell Us About the Health of the Chinese Consumer?